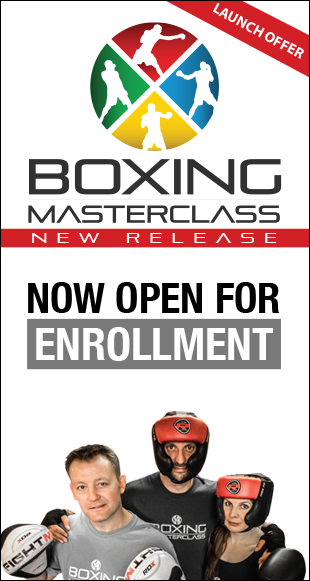 Learning boxing at home? Beginner boxer – training alone and need feedback? Questions, doubts or just feeling plain frustrated with your training? We had a great question in from Jacek this week – we have put it into a post as it is a very interesting subject – Lasting the rounds..
Hi Cornelius, I have quite stupid questions but hopefully it’s possible that there are some answers/tips you can give. Thanks for all good videos and advice 🙂 Jacek S.
Good to hear from you again – thank you for your comments – your questions are not stupid at all. It is very common for fighters to have highs and lows in work rate during the rounds. First time fighters especially, can come out “all guns blazing” giving everything they’ve got for the first minute, but then realise they have nothing left in the tank to finish the round. There are several elements to take into account to fix. First and foremost is fitness, make sure you are doing sprint training to increase your cardio – the fitter you are, the more durable you’ll be, it’s true what they say “train hard, fight easy” (although I’m not sure any fights are easy :-). Secondly, is managing your tempo (speed) and knowing your fitness limits, it’s not possible to go hard at it for 2 or 3 minutes non-stop. You need to pick your shots – not every punch needs to be a knock-out punch, only the punches on target :-). So vary your punches, tapping, and medium strength to set up the power shots – this can conserve a lot of energy. Next is footwork, the more you train your legs, with running, squats and footwork drills, the better placed you’ll be to breeze through the rounds. Lots of people concentrate on the upper body, punches etc, but leg training is so important, it’s your foundation, so make sure it’s strong. If you can use good footwork when your tired and make your opponent expend energy by missing you with his punches, you can be recharging your batteries whilst they are draining theirs. These are just 3 little things which may help, although depending on your style, you may need a different approach – e.g., if you’re a pressure fighter, fitness is definitely key, but you may want to use your opponent to rest on rather than getting on your bike.All that said and done, the most important skill to learn is to relax in the ring – this takes practice, so the more sparring you can get and the more sparring partners you can get the better. A good example of fitness over relaxing in the ring is the Bruno vs Witherspoon fight – it’s an old fight from 1986 and it’s not particularly pretty to watch, but is a good example – Bruno was in the shape of his life, he could run faster, run longer and hit harder than an out of shape Witherspoon – but Witherspoon has a good fighters brain, he knew to relax …Bruno put everything he had into his attacks and loaded up all his punches. Witherspoon on the other hand, smothered Bruno’s work, tied him up whenever he could (Bruno fell into the trap of pushing him away which saps so much energy), Witherspoon picked his shots, he threw a lot of body shots in the earlier rounds which are perfect to slow your opponent down, he stayed relaxed to conserve his energy and finally knocked out an exhausted Bruno in round 11. Ultimately you want to be as fit as you can be, the fitter you are, the more punishment you can endure, Witherspoon should of been fitter, but he had the key and experience of knowing how to conserve his energy on his side. You definitely need a mouth guard for sparring, but I don’t think you need to clench your teeth down on it during a fight. It’s true that if you leave your mouth open and you get hit, this can dislocate the jaw, so try to avoid this at all costs. What I do, is meet the gum shield with my bottom teeth, so my teeth are together but not clenched tight – being hit on a clenched jaw still really hurts :-). I hope this has helped Jacek and keep the questions coming. Enter any questions in the comments box below – for a chance to receive some free boxing advice. Or if you prefer use your favourite social media. We’re pretty much active on all of them. Facebook, Twitter, Google+, YouTube, Tumblr. Online boxing tips and training advice. 12-Minute Sneak Punch Boxing Workout – Don’t throw in the towel!